Are you ready for some classic Hidden Object + Home Improvement action? Hazel is helping her aunt with home refurbishment. Sell off old stuff from the various rooms in the house and completely redecorate the Living Room! Offering tons of Hidden Object modes: Picture, Word, Silhouette, Night Mode, Mirror Mode, Anagram, Mystery Word, Spot the Difference, Memory Mode, Flash Sale mode, etc. Enjoy our brand new minigames! Match-3, Card Memory, Jigsaw Puzzles, Mahjong, Sliding Puzzle and more! (or skip them if you’re not in the mood!). Since the room and furniture are very lifelike, you can bring your design to your very own home. Design the living room of your dreams! 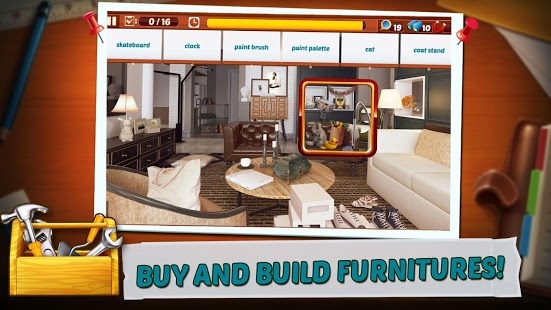 – Decorate a lifelike home! With more than 150 choices of furniture, there are endless combinations! 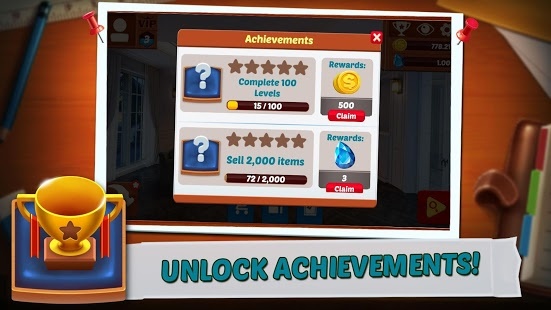 – Play our signature game modes: Look for Hidden Objects in more than 15 different ways! – Beside 5 different mini-games, the game also has Match-3 mini-games! 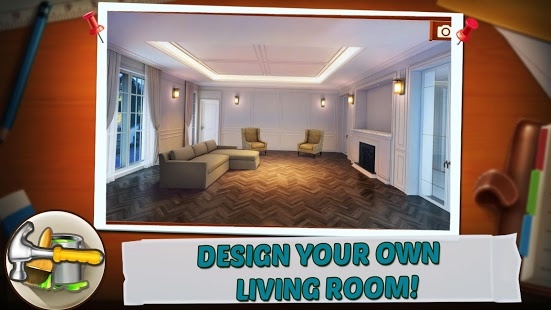 – Read useful design tips in the game, then apply your newfound knowledge to your own home design! – Endless fun! 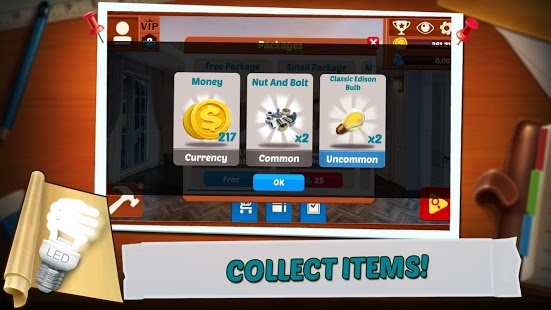 Keep on playing even after all furniture options are collected.